Hand-held field recorders have been hot commodities for musicians, recording engineers, and sound designers for years. This innovative recorder is portable yet loaded with first-class, professional features, the likes of which the industry has not seen to date in this class. There are two types of stereo microphones built into the R-26, plus a pair of XLR/TRS combo inputs for external mics, and an input for a stereo plug-in powered mic. Choose simultaneous combinations of the built-in mics (directional and omnidirectional), as well as the external inputs. Capture live performances with simultaneous line and ambient signal paths, record important speeches, lectures, and presentations, or take the R-26 into the inner city or deep forest for pristine field capture. The sky’s the limit with this powerful, portable, and incredibly flexible recorder. The R-26 is a part of our series of audio field recorders. Compare Audio Field Recorders. Two types of built-in stereo mics—omnidirectional and directional—operate independently of each other. The R-26’s dual stereo mics provide the ultimate flexibility in different recording applications. In addition to capturing recordings that leverage the individual characteristics of OMNI (omnidirectional) and XY (directional) mics, you can mix the mics together to achieve the optimum balance. 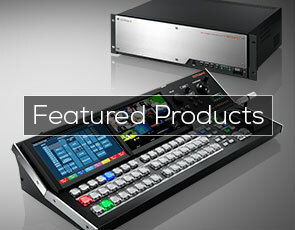 Support for up to six channels of simultaneous recording—a powerful tool for professional applications. The R-26 is equipped with Roland’s proprietary IARC (Isolated Adaptive Recording Circuit) on the inputs for the built-in mics and as well as the external inputs. This analog circuit is completely isolated from the digital circuitry and has its own power supply, reducing digital noise and achieving very clear sound. With respect to sound quality, no stone was left unturned in developing the R-26’s new mic system. At the top of the R-26 are OMNI (omnidirectional) and XY (directional) stereo mic pairs, which not only provide pro-level sound, but also contribute to the unit’s impressive styling. To maximize their sound-collecting characteristics, we thoroughly studied the optimum shapes, positions, and angles of the mics. The OMNI mics are entirely enclosed in a mesh and optimized to faithfully capture sounds down to super-low frequencies. The XY mics have been given ample space, maximizing their performance. Additionally, the mics are laid out in a 90° configuration to create a natural stereo image. 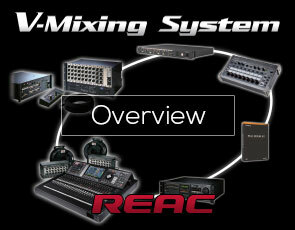 This ensures that your recordings will be clear, expansive, and true to the recording environment. At the bottom of the unit, you’ll find two analog combo (XLR/TRS) jacks with 48 V phantom power. In addition, there’s a side-mounted plug-in mic (stereo mini) input with support for plug-in power. By combining external mics with the built-in mics, you can perform a variety of different types of recordings. The R-26 inputs are equipped with high-performance mic preamps directly inherited from Roland’s R-44 professional recorder for the highest level of sound quality. With Pre-recording, you’ll never miss a recording opportunity. The R-26 is equipped with a multitude of convenient functions that help you achieve your recording objectives with ease. One such function is Pre-recording, where your recording actually begins two seconds before you initiate it. This ensures you won’t miss the very beginning of a recording, even when you’re late in pressing the Record button. This is a great feature for capturing environmental sounds as they occur, such as chirping birds. The R-26’s editing capabilities allow you to edit your sound recordings on the spot. In addition to basic functions such as selecting, copying, moving, and deleting projects, you can also split, merge, and delete (trim) sections. This lets you to complete your editing work right on the R-26. The R-26’s design prioritizes ease of use over all else. The two input knobs are large and easy to operate, letting you make fine adjustments to your input levels. Other controls that you’ll be using often are provided as dedicated hardware switches. It’s easy to know which switch to use at a glance, enabling intuitive, stress-free operation in any situation. The R-26 functions as a USB audio interface for your PC (Windows or Mac), allowing you to send the sound you’ve captured on its built-in stereo mics or external mics/devices directly to your favorite DAW program. This functionality is also perfect for capturing high-quality audio for Internet streaming applications, such as music performance videos. The R-26’s extensive set of useful functions support a diverse range of applications. The Marker function allows you to manually set markers to begin playback of your recordings at any point in their timeline. You can also set markers automatically during recording based on different conditions. A Voice Memo function lets you to add up to 30 seconds of audio to an existing recording, great for adding location notes and other identifying information. Playback speed can be adjusted between 50% and 150%. The Repair function aids in fixing audio files that have become damaged. Equipped with a USB 2.0 connector that supports USB mass storage—a USB cable is all you need to send data at high speed to your PC. A Preview Monitor on the side enables you to check your recordings without connecting headphones. A threaded hole on the rear panel allows you to mount the R-26 onto a generic camera tripod or stand. Comes bundled with SONAR X1 LE, a streamlined version of Cakewalk’s SONAR X1 DAW program. This is a handy tool not only for editing and mixing audio recorded on the R-26, but also a powerful platform for any type of pro audio production.